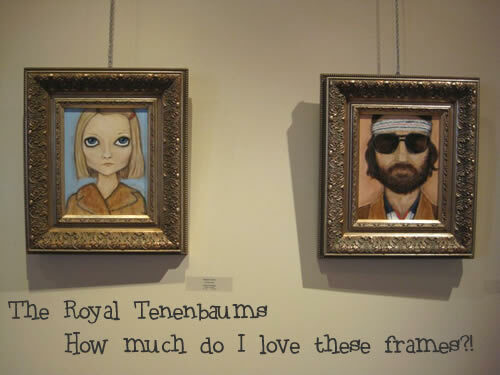 I’m happy to report that all of my paintings have been hung by the theater with care. 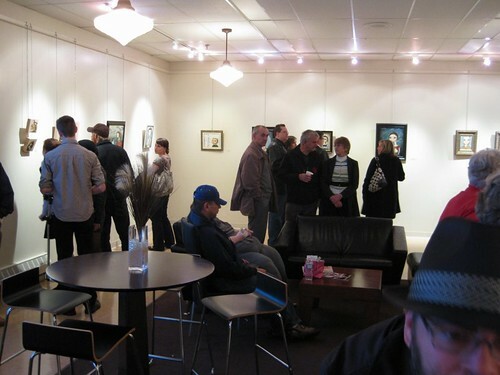 And yes, it did feel like Christmas for me to see 21 of my paintings displayed together. I’ve been looking at them for months now, but never all together like that and mostly unframed. It makes such a difference, especially with the bigger pieces. Bahahahaha! My jaw dropped & then I burst out laughing. 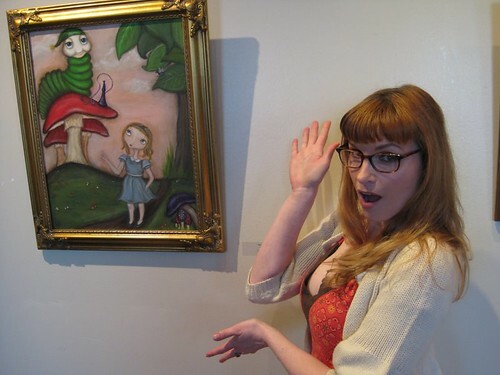 She had no idea I was the artist & admittedly, she only looked at my Alice in Wonderland series, which are definitely more surreal & not everyone’s cup of tea. Still. So freaking funny. If you want to see more photos from the show, I uploaded a bunch to Flickr > here. wow! i’m so impressed – what an accomplishment!! i think your work is just gorgeous!! 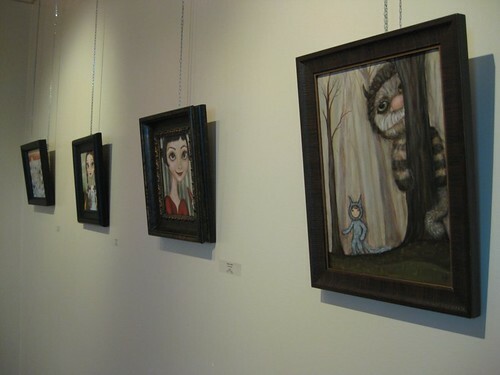 oh I do love the Wild Things painting! !